When I was a toddler, my parents lived in Daytona Beach, Florida, and Cape Canaveral was just 70 miles south of us. From there, we could watch NASA’s rocket launches from our balcony. I can vaguely remember a night launch, when I got to see the first stage of a rocket fall back down to Earth, where it would splash down way off the coast in the Atlantic. It’s just a dim red dot in my memory; much stronger are my memories of the sense of awe I felt even at that young age. 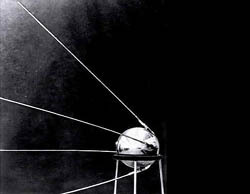 It wasn’t awe, but fear that Americans felt fifty-years ago when Sputnik 1 became the first artificial satellite to orbit the Earth. Earthling minds were too parochial, and perceived a dire threat rather than a milestone accomplishment. Instead of the human race being on the threshold of a new frontier, we had a foreign enemy who now had the power to drop bombs on us from space. Luckily we evolved. After decades of military expansion competing against one another, the U.S. ended up defeating the U.S.S.R. with a McDonalds in Red Square, free enterprise was more powerful than military strength; however, the decades of our two countries burning the candle at both ends to conquer space has forever changed our perspective of ourselves in the Cosmos. Four years after Sputnik 1, Russia would make Yuri Gagarin the first human to orbit the Earth, and 12 years later America would put Neil Armstrong and Buzz Aldrin on the moon. 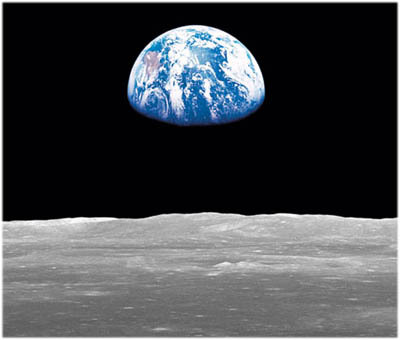 The view of Earth from space would completely change how human civilization viewed itself. The Earth hanging alone in the void stressed the precariousness and uniqueness in the Universe. small pearl in a thick sea of black mystery. Today there are several hundred satellites in orbit, bringing weather and imaging, television, GPS, and phone signals. They have become a permant, ordinary part of our life. The Hubble Telescope has seen to the very edge of our Universe, while the WMAP data has shown us the shape of the early Universe. 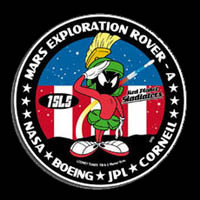 For the last three years, we have followed Spirit and Opportunity along on their adventures on the planet Mars. In a way, they are better than having human explorers on Mars, because we see what they see, we collectively decide where they should go next, and the entire human race has come along for the ride. We even have a satellite on its way out of our solar system. 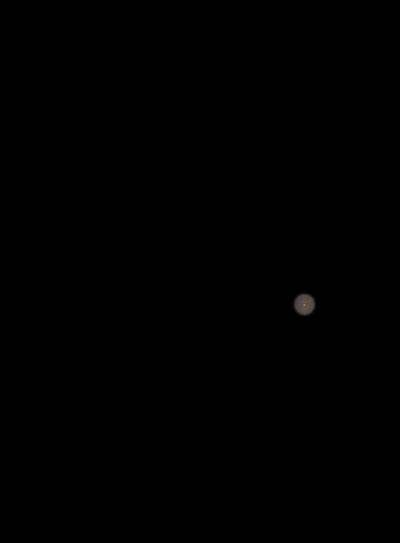 At the same distance from the Sun as Pluto (the planet Pluto), it turned around to take a few final photographs of our little neighborhood. Can you find the Earth in the following picture? 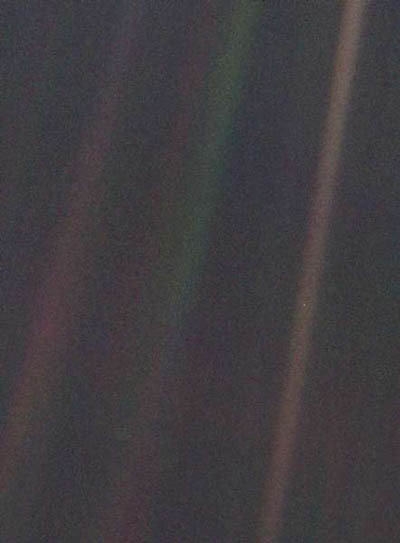 Photo by Voyager 1, 1990. How have we lost so much public interest in the “out there?” Why don’t we go back to the Moon? It’s the most logical place to start putting human beings. We can’t stay in the cradle forever. Has space become so overwhelming that people simply can’t register it anymore? I don’t really know all the reasons people have lost interest in space. I guess they don’t see the relevance/purpose anymore. Which is a big shame.